based on existing mobile industry standards. Satellite constellations of thousands of satellites in low orbit will disrupt telecoms over the next 10 years providing global connectivity (incl. maritime and arctic) for e.g. IoT purposes. Satellite constellations are extremely scalable and much more flexible than traditional geo-stationary systems. However, the Operations & Management (O&M) challenge will be similar to the one in terrestrial mobile networks. 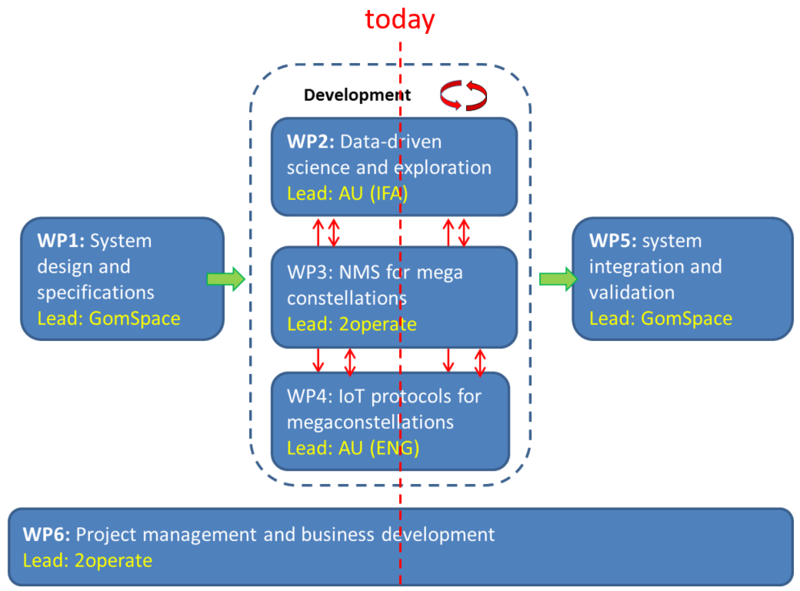 Fortunately, many concepts and standards from terrestrial telecommunications can and should be adopted and adapted for satellite constellations. This is what MegaMan is all about. 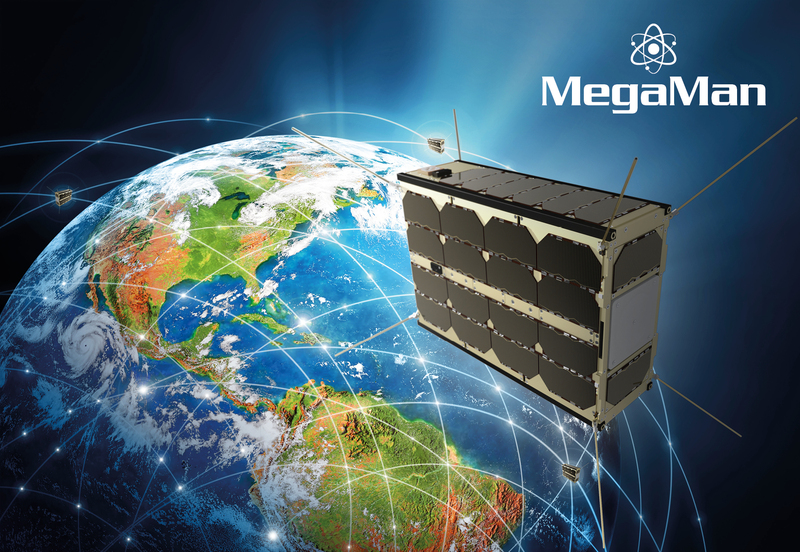 MegaMan is an ambitious R&D project to build world’s most scalable mega-constellations O&M system. The project is led by 2operate, who is already a leading innovator in both terrestrial mobile and satellite O&M solutions. Aarhus University and nano-satellite pioneer, GomSpace, are partners in the project. The project is partly funded by Innovation Fund Denmark (Innovationsfonden). The project was started in November 2017 and is planned to run for 2 years. The project is organized in 6 Work Packages seen in the figure below.